This one’s for you, G! To make, I used the faux pinecones that came with our artificial Christmas tree. (You can also purchase these in store or find real ones outside.) I used a mini foam brush and white craft paint to paint the tips of the pinecone. I haven’t used jingle bells for any of my ornaments yet, although I think they are so cute, so once the pinecones were dry, I strung a few jingle bells on baker’s twine and tied them to the tops of the painted pinecones to make an ornament. 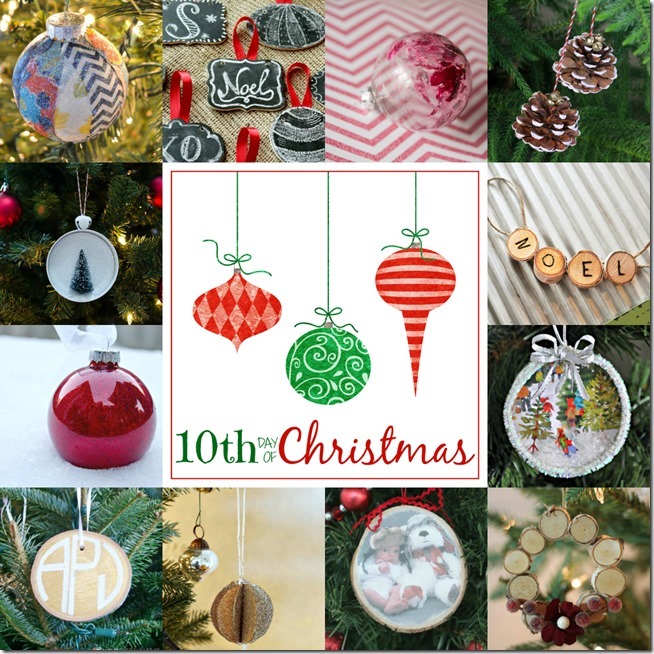 Here are the rest of our Day 10 ornaments in our 12 Days of Handmade Christmas Ornaments collection! Don’t forget our link party starting this Sunday! 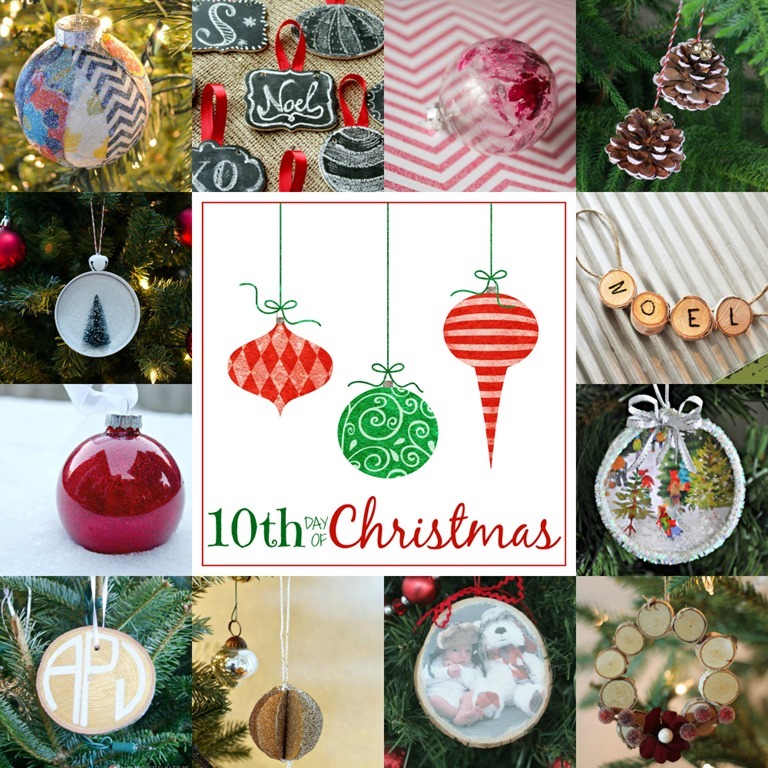 We can’t wait to see all of YOUR handmade holiday ornaments! Adorable! I “dipped” some big pinecones for a wreath last year and still love them, so of course I love this ornament too! Love that idea, Chaney! I’m sure they look gorgeous!